Diamond Club International and private catwalks lure luxury audience. International Jewellery London has unveiled a major programme of improvements designed to reaffirm its position as the UK’s premier jewellery event. The September show will feature a revamped catwalk configuration that will allow jewellery to be exhibited privately to key clients, as well as openly to all visitors to the show. Private shows can be accompanied by champagne receptions to enable VIP buyers to enjoy the excitement of the catwalk, and the intimacy of a networking event in which the models will circulate and show off the jewellery. Overseas buyers are also getting additional star treatment, with the creation of Diamond Club International, where global buyers and their UK counterparts will be treated to a prestige experience throughout their visit to IJL. 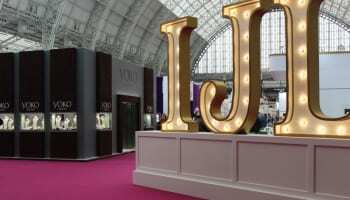 “One of the reasons IJL remains the key premier UK show is because we believe in constantly improving and refreshing it, introducing new exciting features and opportunities for visitors and exhibitors,” said event director Syreeta Transfield. “The new Runway, for example, provides exhibitors with an exclusive opportunity to host their own branded catwalk show and networking event, a fantastic way to interact with key buyers and showcase their new collections, really bringing them to life,” she added. The enhancements at the show will be introduced during a marketing campaign supported by an improved web site and striking contemporary advertising.